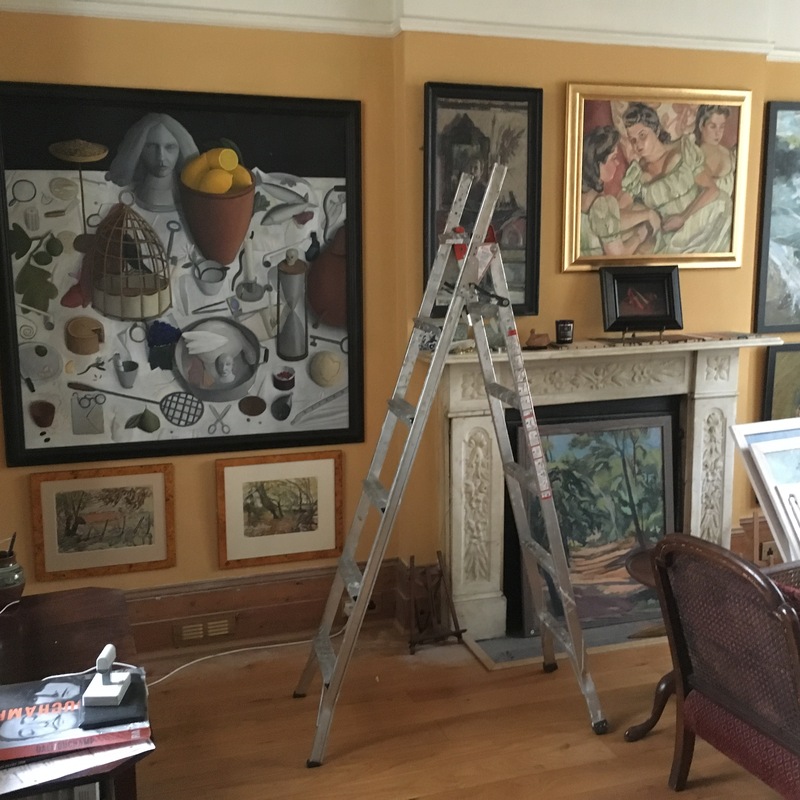 The polar opposite of the conventional “white cube”, our gallery at home in Chiswick is the best place to see works of art in a natural domestic setting. We have embarked on a major re-hang of our artists’ work, allowing each their own space and displaying them alongside works that complement or contrast with them in an interesting way. So if you have seen anything on this website that has aroused your interest, you are very welcome to come and inspect it for yourself. Make an appointment by email or phone. We look forward to meeting you.